Fire! The alarm has sounded in the firehouse, and four lines of firefighters must dash to the blaze to douse the flames. Advance the bucket brigades as close to the fire as possible, but take care -- rushing leads to spilling, and without your precious water, all your efforts will be wasted! 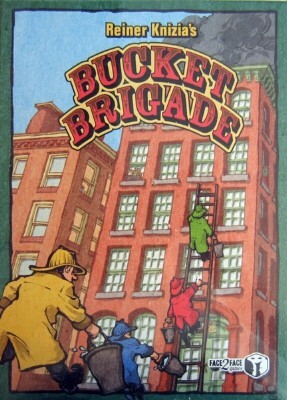 Bucket Brigade is the long awaited re-theming of the Reiner Knizia classic Honeybears.